Doctors interested in telehealth practice will be able to view and apply to open position listings from several telehealth service providers. Nomad Health's online freelance marketplace for healthcare professional staffing now includes postings for telehealth positions alongside traditional healthcare roles. 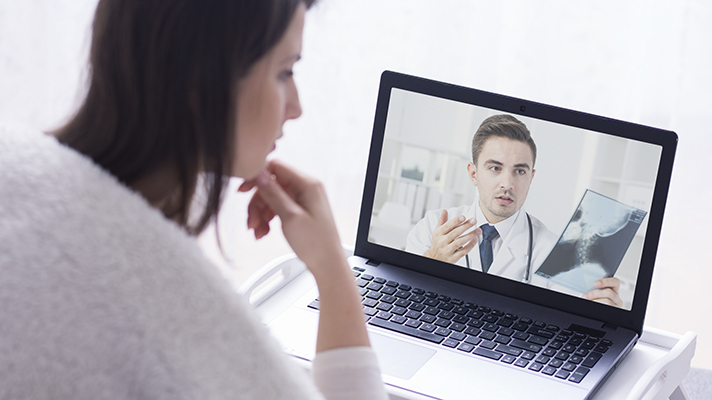 With the updated service, doctors interested in telehealth practice will be able to view and apply to open position listings from several telehealth service providers, including American Well and First Stop Health. Current telemedicine openings include specific areas such as tele-urgent care, teledermatology, and telepsychiatry, according to a statement from the company. "Thanks to modern technology, doctors are returning to their roots and seeing patients at home. The comfort of easy access to high-quality care is leading to extraordinarily high satisfaction for telemedicine doctors and their patients," Dr. Alexi G. Nazem, CEO and co-founder of Nomad Health, said in a statement. "Telemedicine is a win-win, and Nomad is so pleased to help drive this medical technology revolution forward." Sam Toole, the strategic sales manager at Nomad, explained that much of the infrastructure and interface developed for the telehealth postings were similar to those already in place for in-person positions. Still, he said that Nomad "worked closely with all of our clients" through an early limited release of the functionality, and incorporated the telemedicine providers' feedback into the final system. "On the telemedicine side it's more of just making sure that the platform worked well in terms of their model and how they hire doctors," Toole told MobiHealthNews. "It's a little bit different, obviously than bringing in a full-time doctor to be working in a hospital, so we just worked with our early clients to make sure that we built the system in a way that was easy and intuitive for them to use, for both in tracking of time they were working with doctors and then posting those jobs so it was clear to the clinician what the opportunity was." Now that the telehealth posting functionality has been fully released, Toole said that the service is enjoying a warm reception from employers and job seekers alike. "We see that the providers on Nomad are extremely excited about these roles, and it is evident in terms of the activity the jobs do get when they are posted on the platform," he said. "It is very common for telemedicine roles to be posted and get a massive amount of interaction, excitement, number of applications, inquiries about the role very quickly. So as we onboard telemedicine companies around the United States, we continue to see the providers be very, very excited." The inclusion of telemedicine is the latest in a stream of service expansions for the company, which was founded in 2015 and initially served the east coast. After raising $4 million for the platform from First Round Capital, RRE Ventures, and .406 Ventures last year, the platform opened its doors to nurses in July and has steadily introduced itself to a number of new states including Texas, Florida, North Carolina, and California. Last month, Nomad's platform was also officially endorsed by the Texas Hospital Association.